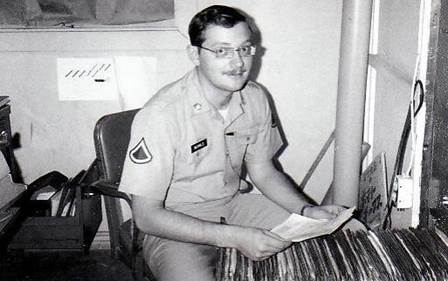 Born in 1948, Jim Nichols spent the first twenty years of his life growing up in Fostoria, Ohio, where he quietly fulfilled his public school obligation without fanfare. 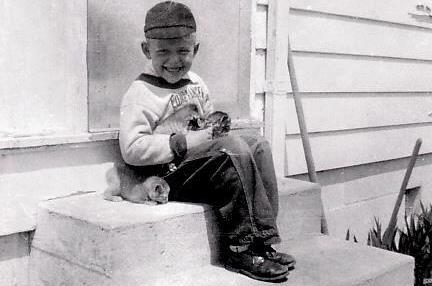 However, by his senior year of high school Jim discovered he possessed an innate ambition to become an artist. To pursue this interest, Jim enrolled for a Bachelor of Fine Arts program at Bowling Green State University in 1967. Unfortunately this schooling was interrupted in 1969 by the military draft. But despite two-years of Army service, he managed to complete a correspondence course in commercial art. 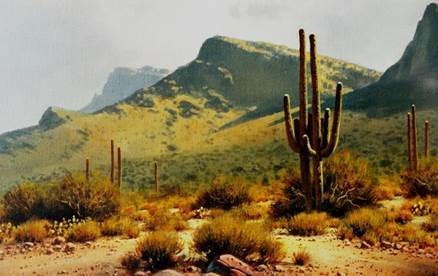 Following his discharge, Jim resettled in Tucson, Arizona in 1972, where he made something of a name for himself over the next eight years painting southwestern landscapes. 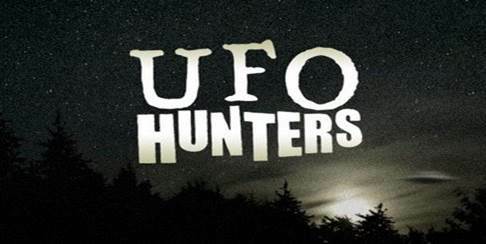 In 1980, his association with a world renowned UFO researcher, Lt. Col. Wendelle Stevens (Ret. 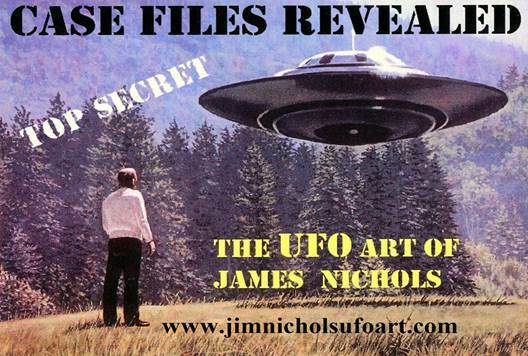 ), inspired Jim to launch into serious UFO illustrations, producing an extraordinary body of work that has since been published internationally in magazines, articles, books and the internet. 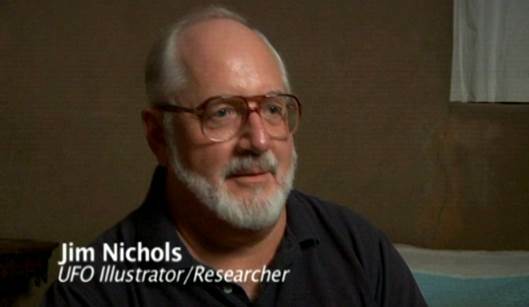 His art was routinely featured on The History Channel’s “UFO Hunters”. As well, the notoriety he gained as a UFO artist earned him a co-host seat on a weekly, Tucson Public Access Television program entitled, "UFOAZ Talks" produced by Ted Loman. This popular award winning program ran from 1991 through 1997, and was aired across the country. After thirty years of UFO research, Jim has become a prolific writer, posting 21 BLOG essays on his web site, examining EXOPOLITICS--the political and social impact of a possible extra-terrestrial reality. As well, in his art book, "Case Files Revealed", he shares the untold stories behind 40 of his most dramatic UFO illustrations--based on actual accounts. 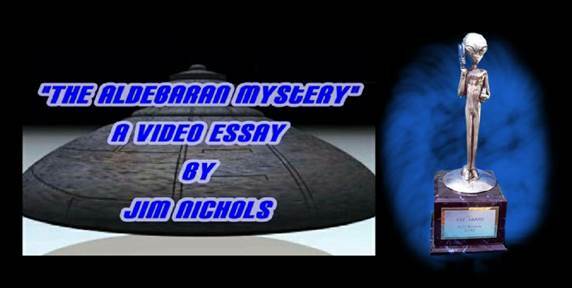 Jim is also winner of two EBE-Awards at 2010’s International UFO Conference in Laughlin, Nevada for his video documentary about Nazi Saucers entitled, “The Aldebaran Mystery”. Following this conference Jim has produced numerous videos for “UFOTV” which are now posted on Youtube. Currently Jim continues his research which he showcases monthly at his “Quantum Horizons” meet-up in Tucson. More recently Jim has devoted his creativity to video journalism producing numerous video documentaries based on his blog essays. One of which entitled, “The Aldebaran Mystery” earned two EBE-Awards at 2010’s International UFO Conference in Laughlin, Nevada. This production as well as 10 more of Jim’s UFO related video essays are now presented by UFOTV on YouTube. His latest production is: “UFOs, Atom Bombs and the Quest for Absolute Power”. 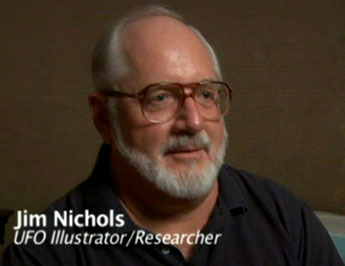 Also visit my latest six-video ‘Exopolitics’ mini-series at: Jim Nichols UFO Video, now on Youtube! As well, if you truly appreciate the many years of UFO artistry and research I have dedicated to raising the vital issue of Exopolitics into public attention and wish to see these efforts continued please feel free to demonstrate just how much you value these efforts in a monetary donation.